After over two hundred years of small-scale woollen cloth production, the mill was in something of a state of disrepair. 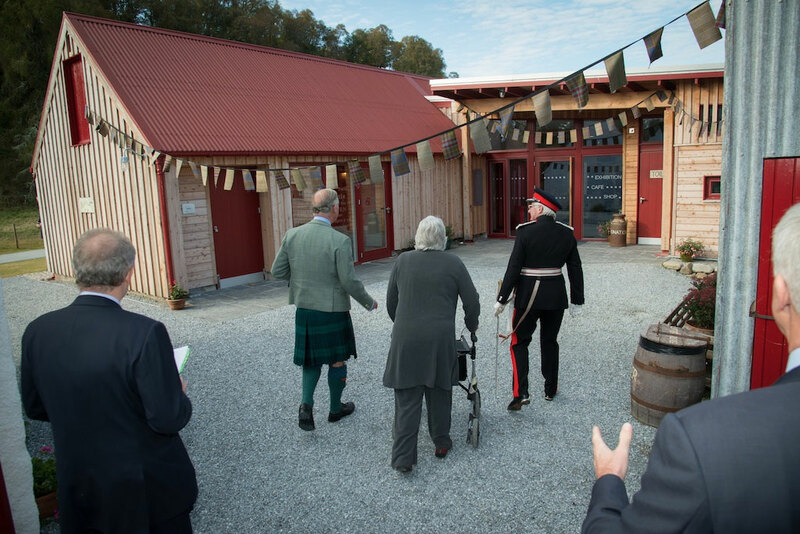 Many years of planning, fundraising, meeting and organising followed, and Knockando Woolmill was officially re-opened to the public on 9th October 2012 as a working woollen mill by HRH The Prince Charles Duke of Rothesay amidst much excitement. It is worth remembering, during WOVEMBER, that raising funds to restore treasured heritage buildings and to maintain local traditions can constitute ‘Working with Wool’ as much as hand-knitting a sweater with farm-fresh wool can, and that in very real ways both of these activities potentially sustain communities, landscapes, and sheep farming. 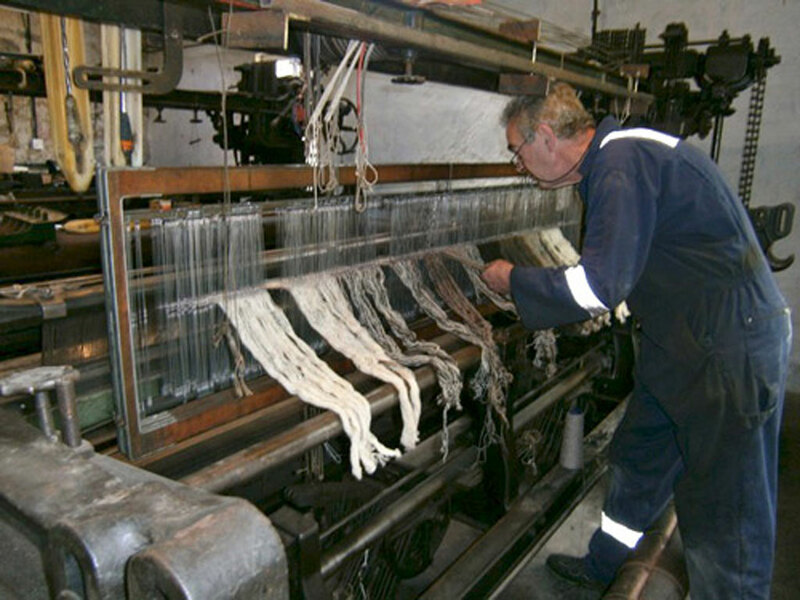 Peter Roy – the current operations manager at Knockando Woolmill has helpfully answered a Q&A with WOVEMBER so that you can learn more about this living part of wool’s history – the UK’s last working district woolmill! 1. For people who haven’t heard of the Knockando Woolmill, what is it? What was the original purpose of the mill? 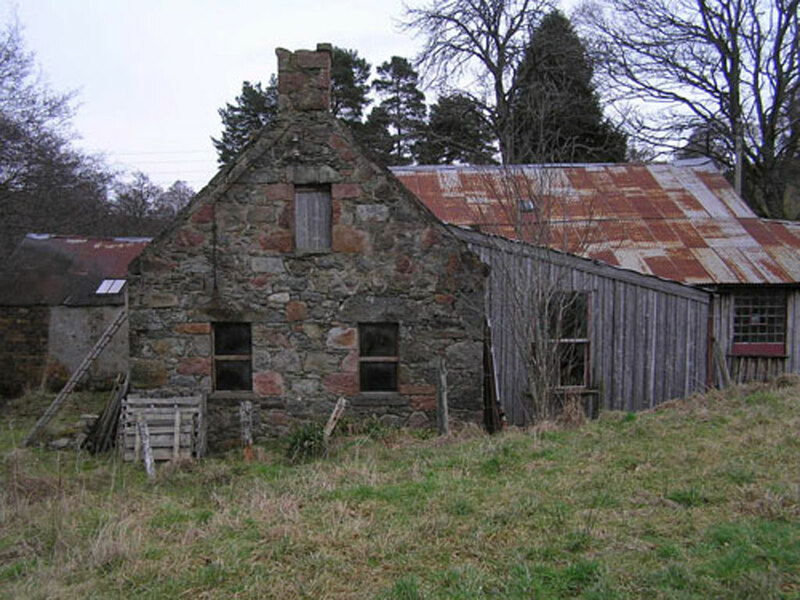 Knockando Woolmill is an A-listed group of buildings in the Spey Valley. 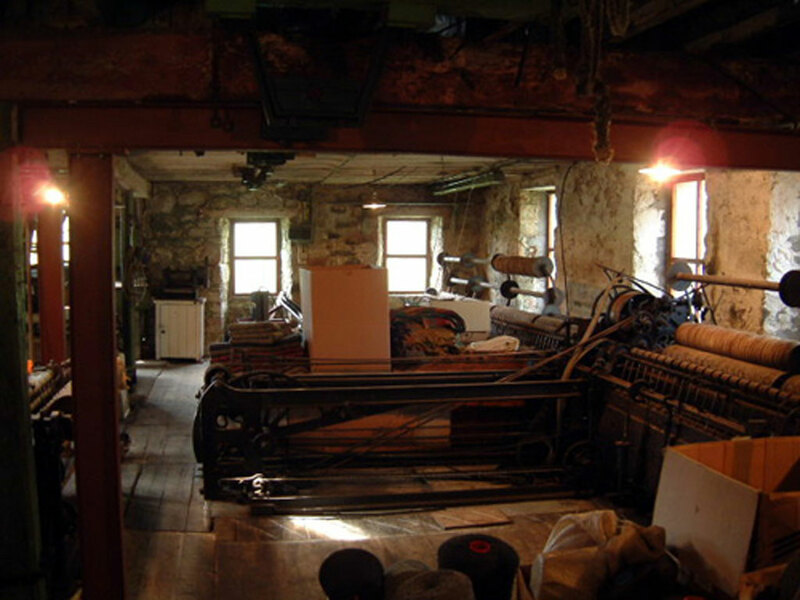 The Woolmill itself contains original textile machinery acquired over the centuries. It has always been at the heart of the local community; listed as the ‘Wauk Mill’ in parish records from 1784, the mill has since maintained its traditions of spinning and weaving through generations of families. Knockando Woolmill grew gradually as the mechanisation of textile production developed elsewhere in the UK. This is not the large industrial mill of Yorkshire or the Scottish Borders but 18th and 19th century farm diversification. When times were good, the Woolmill tenant would buy a new (usually second hand) piece of machinery. 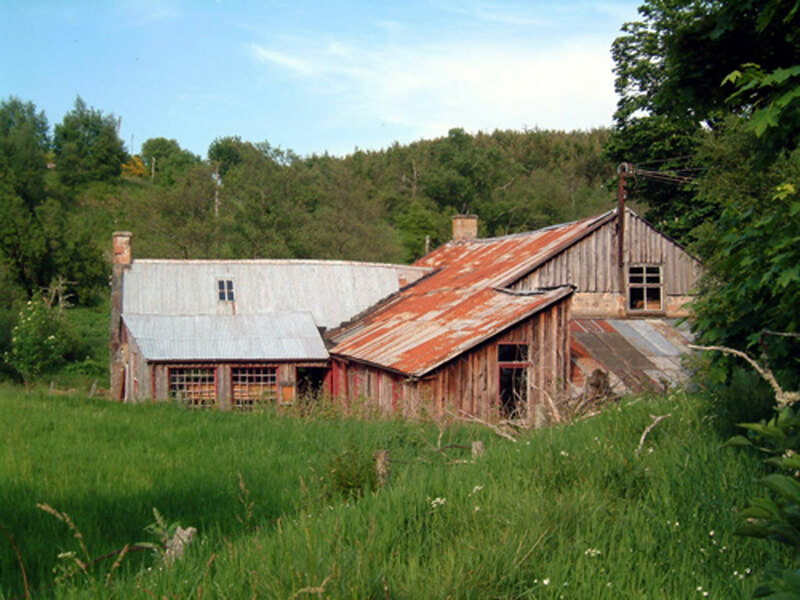 He would extend the Mill building just enough to keep the weather off the machine; being a thrifty farmer, he reused doors and windows from elsewhere. This has resulted in the surviving tiny, ramshackle building stuffed full of historic machinery and redolent of the labours previous generations. Spinning and weaving went hand in hand with agriculture at Knockando. There would be little work carried on in the Mill during sowing or harvest time but after shearing, local farmers would bring in their fleeces to be processed and take them away as blankets and tweed cloth. Many communities had their own local district woollen mill, but the majority of these disappeared between the two World Wars. Somehow, Knockando survived. 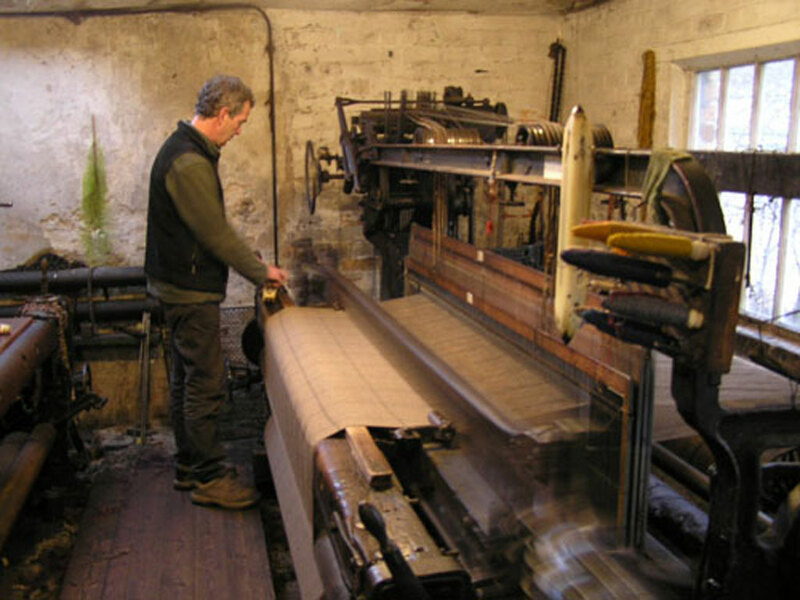 The present weaver, Hugh Jones learnt the craft from his predecessor, Duncan Stewart, and for thirty years has continued to produce tweed, rugs and blankets on the old looms. 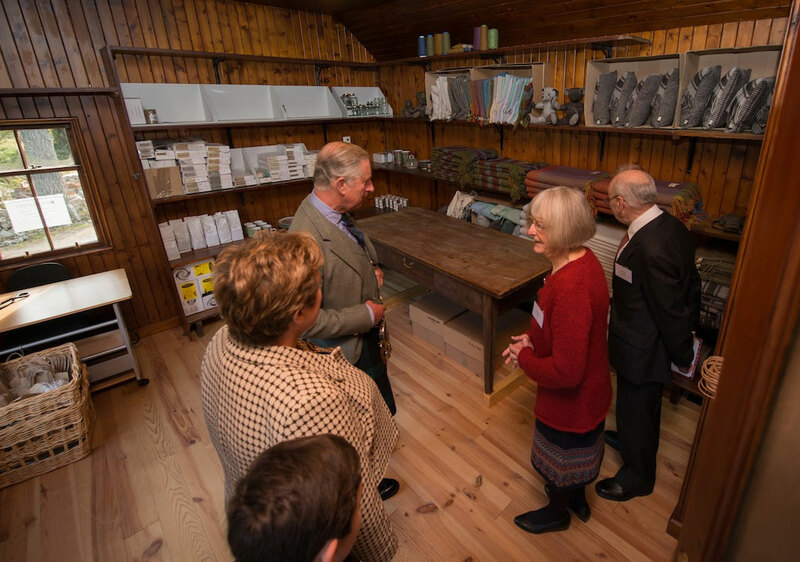 Using expertise passed down through generations, he has managed to single-handedly sustain the traditions of the UK’s oldest surviving district woollen mill. 2. How has the situation for local manufacture of cloth changed in the time since the mill was originally built, and the time that we now find ourselves in? As textile processes were mechanised, Knockando Woolmill acquired machinery which allowed for increased production. 3. 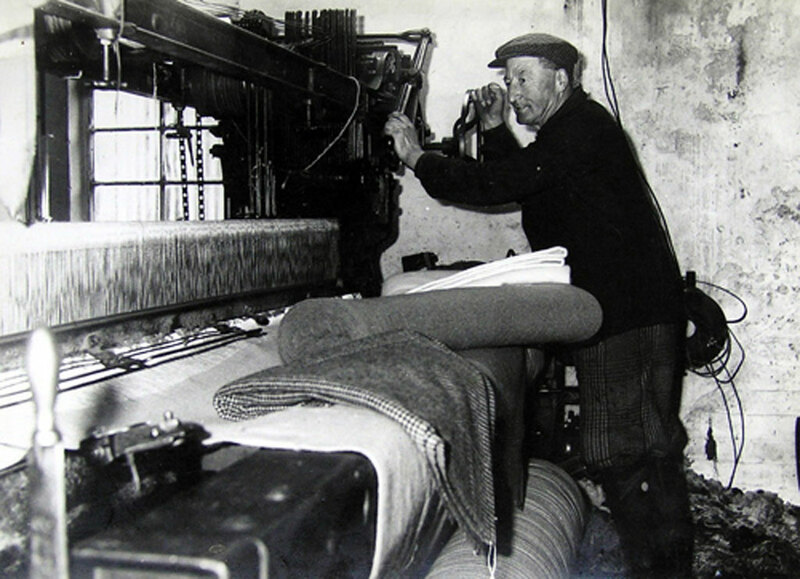 The Knockando Woolmill has been manufacturing woollen textiles continuously since 1784; it is obviously unique today, as a surviving example of a mill of this type, but were mills like this once more common than today? Yes. In wool growing areas these were very common. 4. What are the processes for creating woollen cloth which take place in the mill? Do you take raw fleece and weave it into cloth or do you begin with roving or yarn…? We take washed fleece which we then tease, card, spin and weave. Wet processes including finishing are done elsewhere. We buy in yarn for weaving but we hope our home-carded and spun wool will soon be sold as knitting yarn. 5. 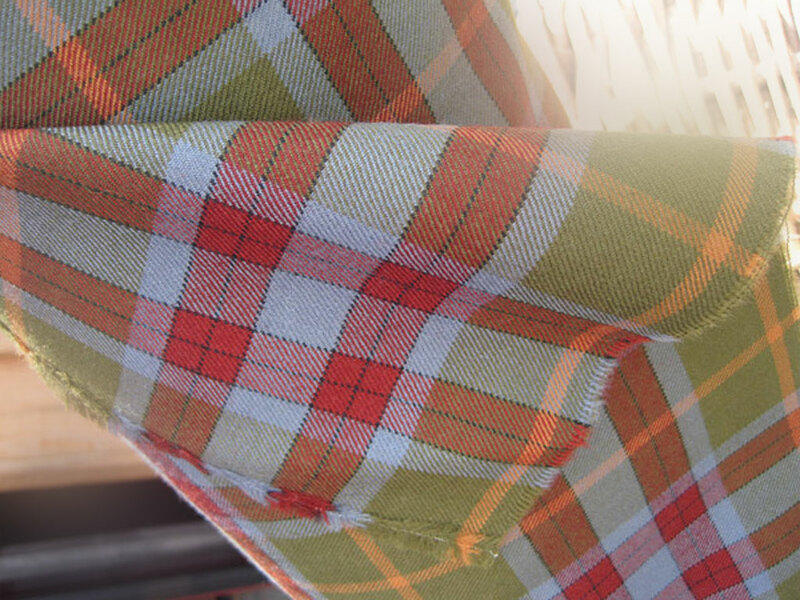 Could you tell us a little bit about the finished cloth that you are producing? From where do you source the wool that you are weaving in the mill, and how do you ensure/obtain that the colours for your signature woven cloth designs are just right? 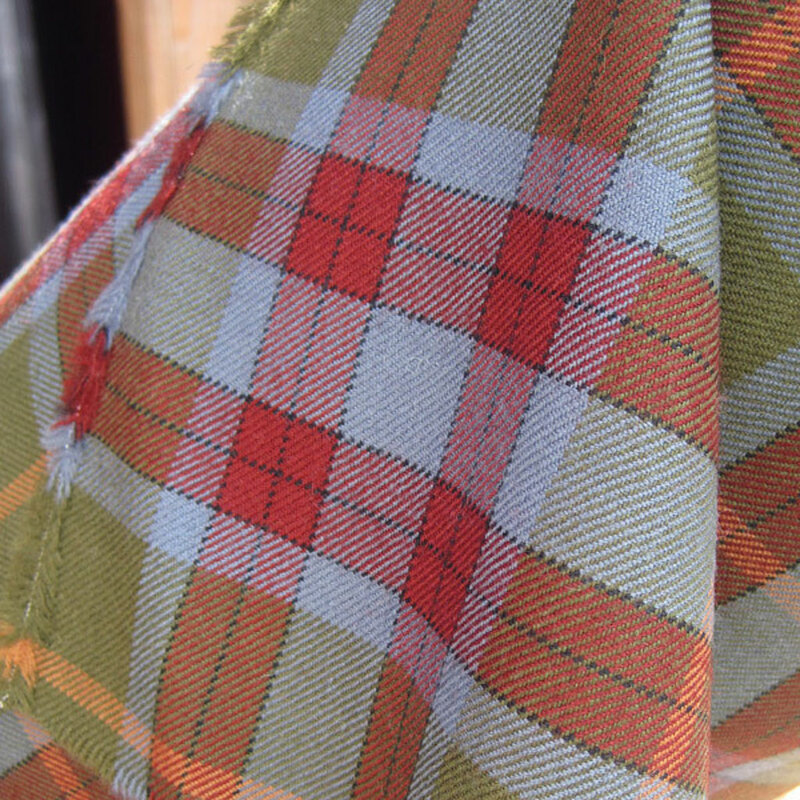 At the moment we are producing small quantities of woven cloth: tweeds, worsted, kilting fabric, rugs, scarves. Some of this fabric goes to made up goods, e.g. caps, ties, bags, teddies. At present we are right at the start of the manufacturing process after the restoration. We hope to use local wools including Scottish rare breeds. Yarn is dyed to our specification – we don’t dye on site. Our tartan design is based on the milll windows which are small square panes of glass echoed in our logo. Using this concept, the tartan colours were inspired by red of the tin roofs, the blue for the sky and the Knockando Burn and the green for the grass. 7. Obviously the mill has undergone a fairly massive restoration project – how has this been achieved and what are your dreams and hopes for the future of the mill? 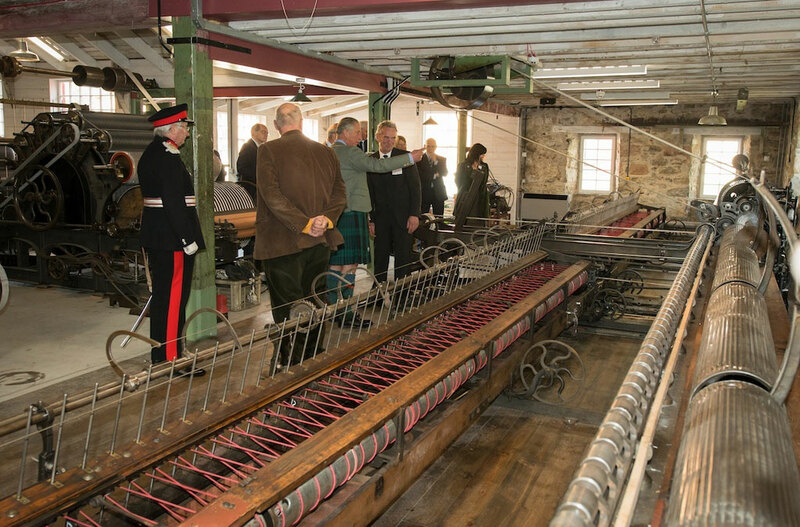 You have achieved something incredible in restoring this important piece of textile/regional heritage; could you say in your own words why it was important to the people involved to restore and save the mill and to keep it running for years to come? 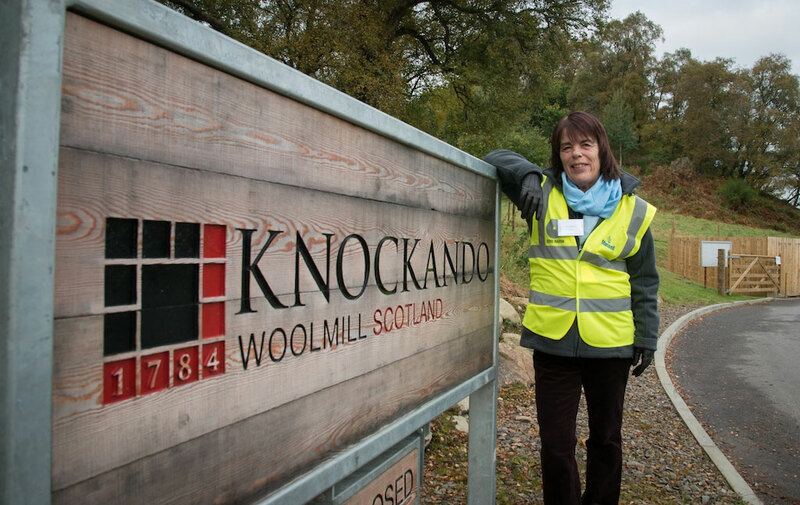 The Knockando Woolmill Trust was formed in 2000 with the aims of restoring the mill and its machinery, training a new generation of craftsmen, and opening the site to the public so they could understand and be inspired by the heritage. £3.55 million was raised. This is the only remaining district woollen mill left in the UK and it was important that it should continue to run as a working mill, not a museum. Please see our website for more details. 8. How can people support the mill? People can become a Friend of Knockando Woolmill, visit us, purchase our products and of course donations are always very welcome!